Functional Pre & Postnatal fitness and wellness experts will help get you fit, healthy and energised through exercise, nutrition and wellness programs tailored to suit your lifestyle and goals. Prenatal exercise is key to improving your mood, mobility and generally helping with anxiety and fatigue during the pregnancy. Our experienced team is here to support you through that journey. Postnatal - We know how hard it is to find the motivation or time to lose that extra weight and get back into a fitness regime. Our team of qualified fitness and wellness experts located throughout Auckland are here to educate, motivate, support and guide you on your way back to feeling and looking great. 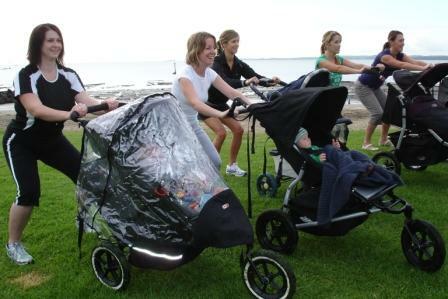 Our Pre & Postnatal trainers can either come to you at your home, meet you at the beach or park, or you can come to us. Of course, if it's easier to train with your baby, our coaches are more than happy to incorporate your little ones into the session. It's all the more fun! Your health and fitness should never be taken for granted; especially now you have a family who depend on you.